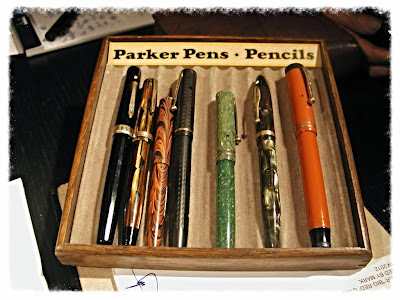 Vancouver Pen Club: Sumgai Finds! 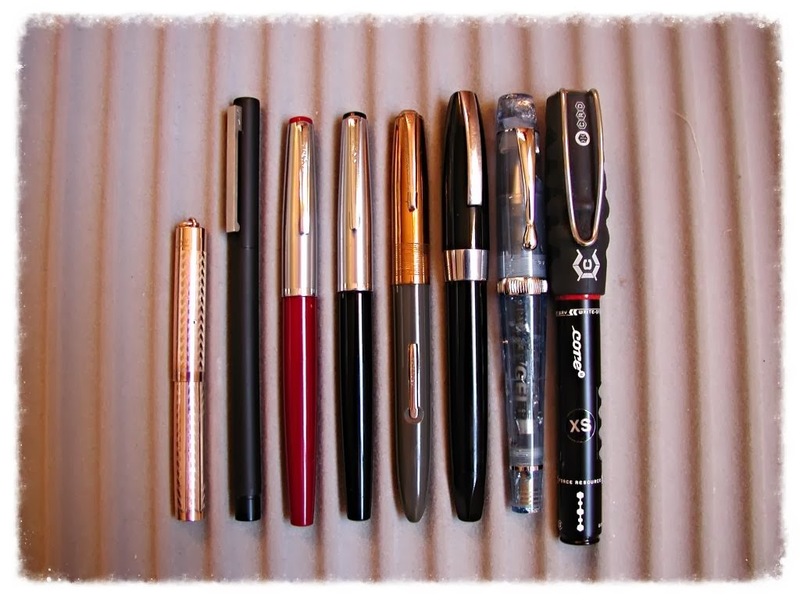 Louise's amazing vintage pen finds---from L to R: Wahl-Eversharp 'Doric', Parker Duofold Geometric (“Toothbrush”) , Waterman 52½V, Sheaffer BCHR flat-top, Sheaffer flat-top in jade Radite, Sheaffer Balance, Parker Duofold 'Big Red'. 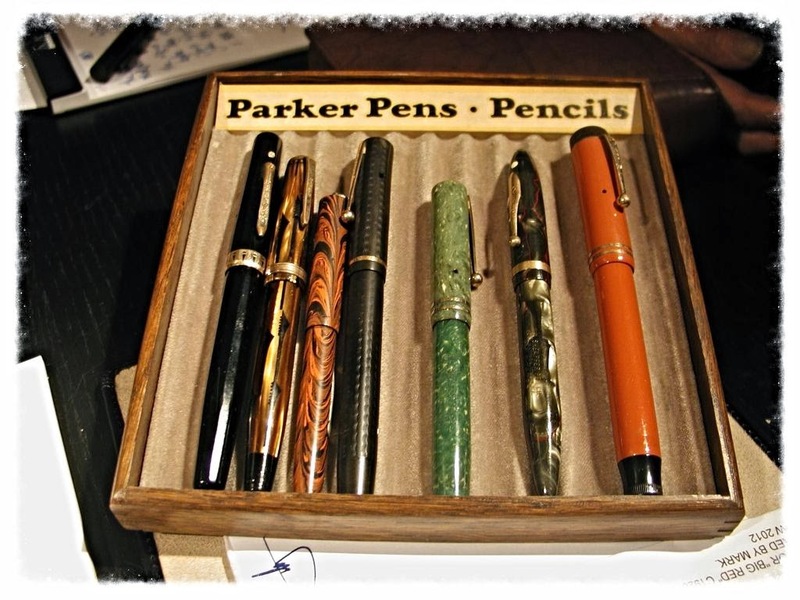 Louise also brought a nice Parker Vacumatic, but it's not in the photo above. I'm sorry I didn't keep track of how much Louise paid for each pen, but it wasn't much! Our next meeting will be on Thursday February 20 at Perks pen store on Cambie Street, from 6:30pm to 8:30pm (ie. usual place & time). Meeting theme/topic: to be announced soon! THE TENTATIVE MEETING THEME WILL BE "2nd- & 3rd-tier Fountain Pens". I need to reconfirm something before finalizing this, but I will update this post, and create a new blog post, in the next few days.